Leonard Young is excited about olive oil. “A great olive oil tastes better, it smells better, people get something out of it. It’s not just this greasy liquid that you’re dunking your bread into before dinner,” he told Olive Oil Times. 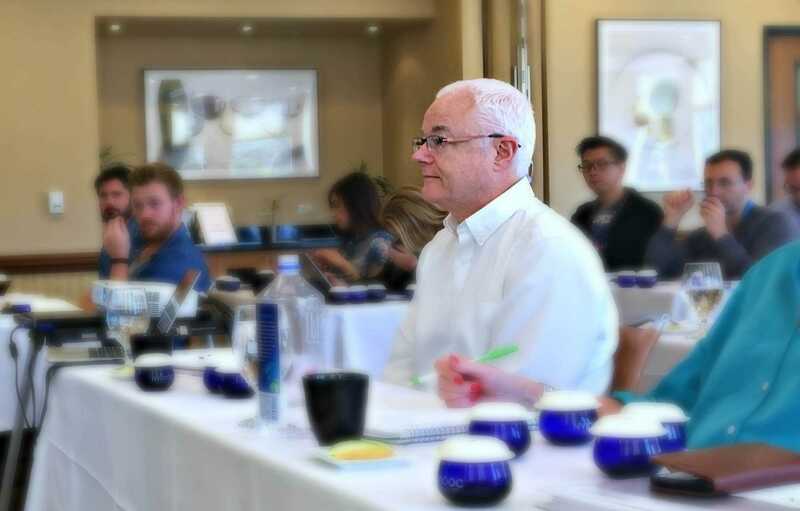 Now, the recently certified olive oil sommelier is sharing his passion with a series of special events in Olympia, Washington. Starting Saturday, Jan. 13, he’ll host four food, wine and olive oil tastings in partnership with Grand Vin Wine Merchants, a local wine retailer. Diners will be able to tastes “triplets” of specially-selected food, wine, and olive oil combinations. Young, who has been the wine director of three restaurants in Olympia, including his current position at Waterstreet for fifteen years, said the principles for pairing olive oil and food are more or less the same as those for pairing wine and food. Both olive oil sommeliers and wine sommeliers analyze aromas and flavors, the main difference is their use of unique vocabularies. According to Young, the main characteristics to consider with high-quality extra virgin olive oil are fruitiness, bitterness, pungency and balance. “With a very bold dish like a grilled steak, you’d want to use a more fruity oil — a more robust oil with more prominent flavors, maybe something where the bitterness and pungency elements are more prominently expressed. Whereas with a delicate dish, you’d be looking for subtle oil where the flavors and aromas are less pronounced,” he said. While Young may sound like an olive oil expert, he’s the first to admit he’s “just at the beginning” of what he hopes will be a lifelong learning process. In the spring of 2017, while browsing the Internet, he had the idea to introduce an olive oil tasting menu at Waterstreet Cafe. But after ordering some award-winning olive oils online, he quickly realized he needed to learn more about extra virgin olive oil to do it properly. “I realized I really didn’t know what I was doing and I needed to increase my knowledge,” he says. During a week-long Olive Oil Sommelier Certification Program organized by the International Culinary Center and the Olive Oil Times Education Lab, Young and his classmates learned about olive oil history, cultivation and production, as well and received intensive training on recognizing olive oil defects and sensory attributes through taste and smell. Young was amazed by what he learned. “It’s like having something where your eyes get opened and you’re walking into something that’s so much more complete and more wonderful and bigger than you could have imagined — my consciousness around olive oil has increased so much,” he said. One of the first things he did upon returning to the restaurant was taste the olive oil Waterstreet was serving with bread. Discovering it was defective, he quickly switched it out for a high-quality oil of his own choosing — and he was just getting started. “One of the most fun and rewarding things right now is to continue to work with our chef on how olive oil is used in all aspects of our cuisine. Changing the bread olive oil was relatively quick and easy, but kind of deconstructing our use of olive oil in all of our cooking and trying to match the right oils to the right uses — all of that has been a lot of fun and that’s an ongoing process,” he said. The Waterstreet Cafe menu now features a rotating selection of seven high-quality extra virgin olive oils for tasting. Young said what he views as the serious under-appreciation of olive oil is one of the things he’s trying to address with the “Wine + Food + Olive Oil” series at Grand Vin. This article was first published in Olive Oil Times.